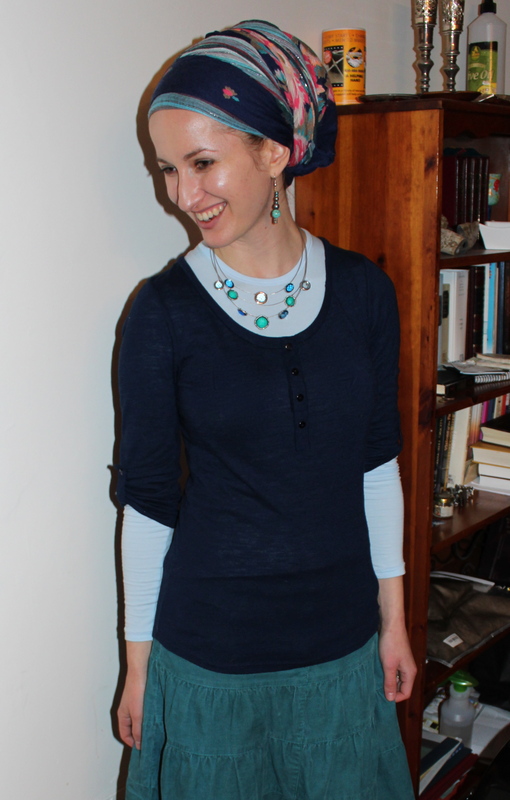 How to Wrap a SKIRT as a Tichel! It IS possible! Here’s how! Baltimore’s fall colours are UNREAL today! Seriously, I had to stop while walking because I was in shock – the sky, the clouds, the trees, the leaves… WOW! So obviously the weather outside subliminally inspired my tichel choice! 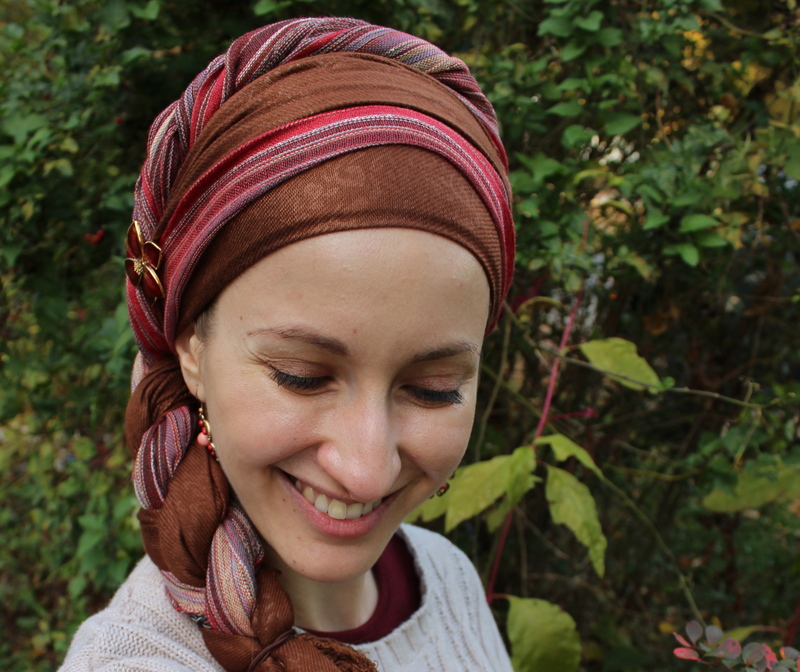 This wrap was done using two long scarves of the same length, braiding the ends into a 4-strand plait. 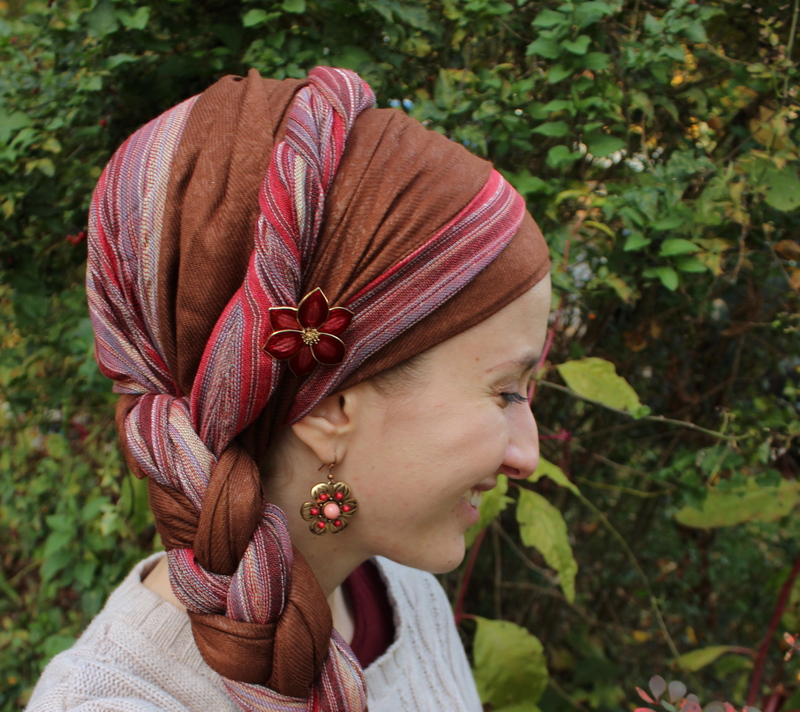 Have external elements ever influenced your tichel choices in a very obvious way? Tell us about it! Two Outfit Ideas for You! Hello lovely ladies! Here are two similar outfits that I have worn that I thought you’d like! It’s wonderful how wearing a scarf with multiple colours allows you to incorporate those colours into your outfit, and instead of clashing, they now match! What do you think? 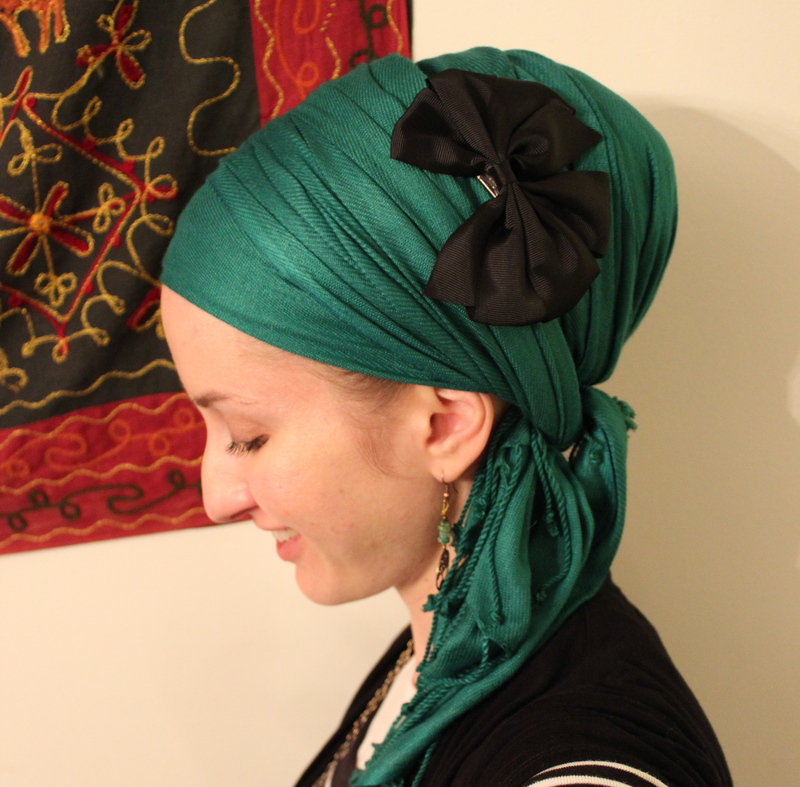 How has covering your hair inspired what you wear?